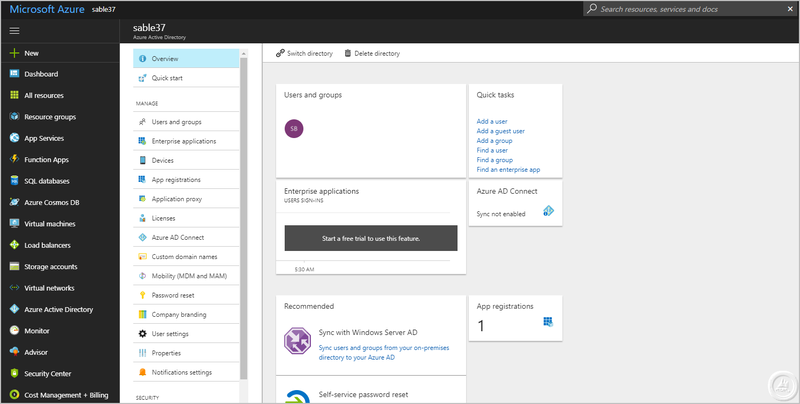 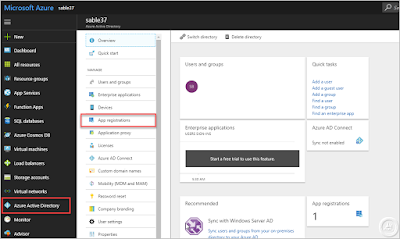 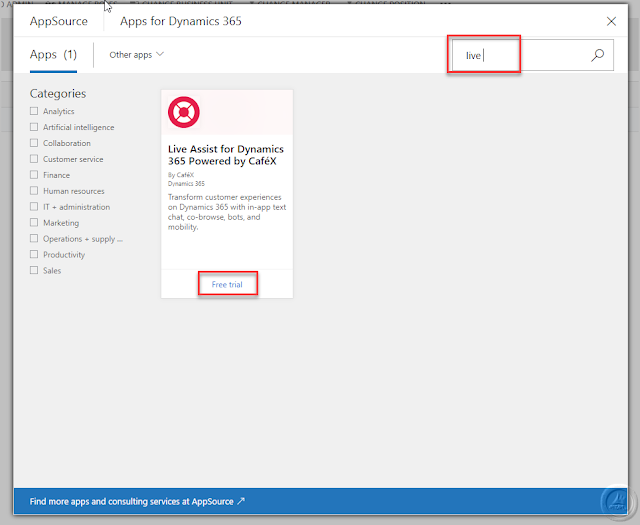 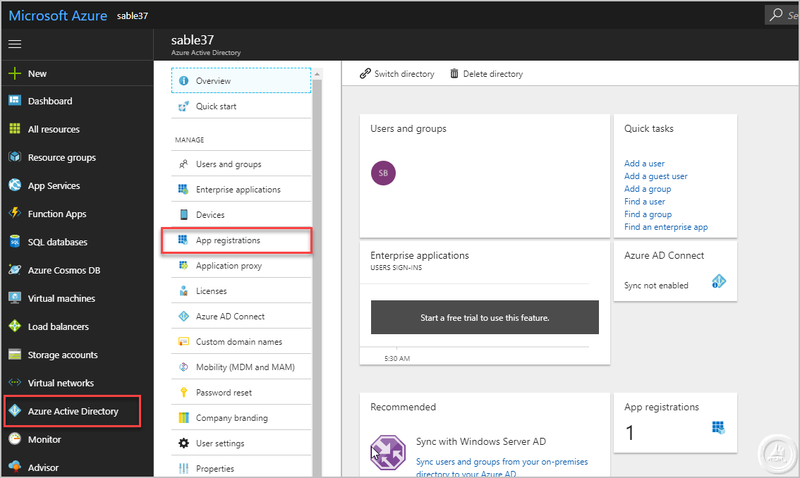 Browsing Category " D365 Integration "
There are 2 major steps involved in the process. private static string redirectUrl = "http://localhost";  //e.g. 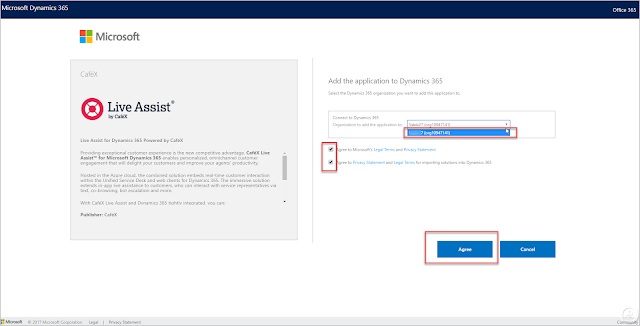 "http://localhost/SdkSample"
"ServicePointManager.SecurityProtocol = SecurityProtocolType.Tls11 | SecurityProtocolType.Tls12"
Last Night I Created a new Organisation and Connected it with console app an then I faced a strange issue in CRM v9 while connecting to Org Service with D365 through web API. 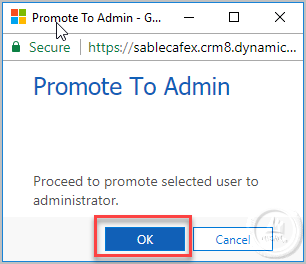 It was perfectly working before that. 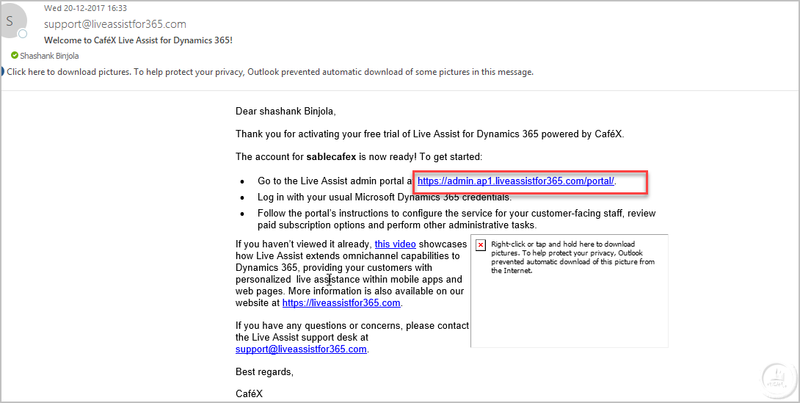 If any one faces the below issue then try the solution given below. 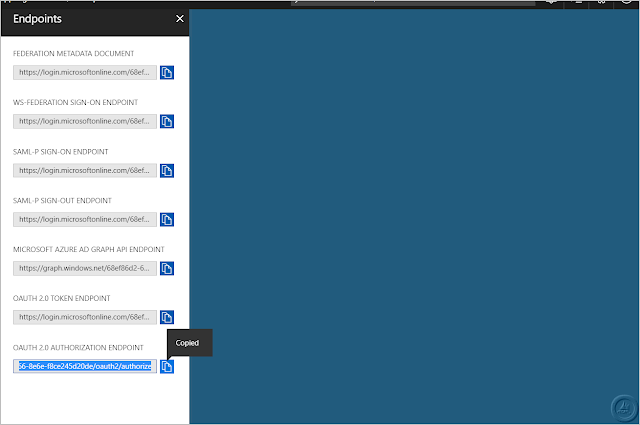 Message : "One or more errors occurred." 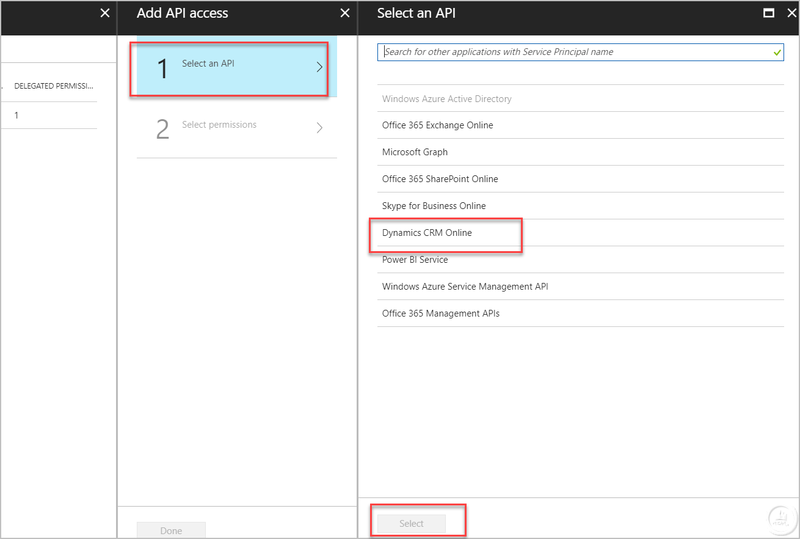 //Create an HTTP client to send a request message to the CRM Web service. 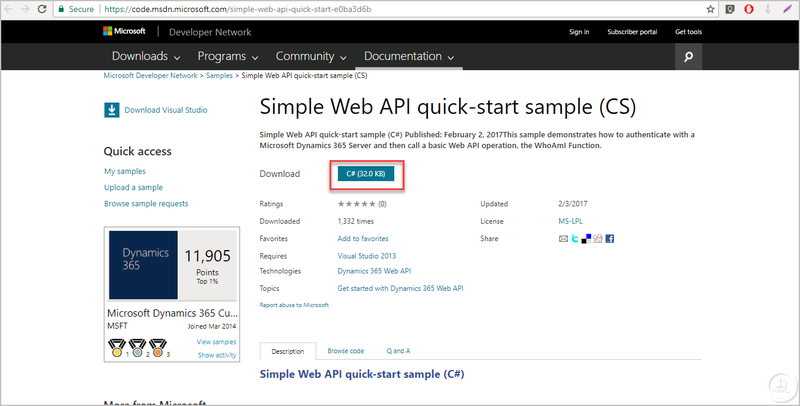 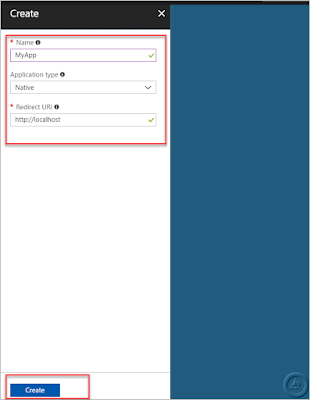 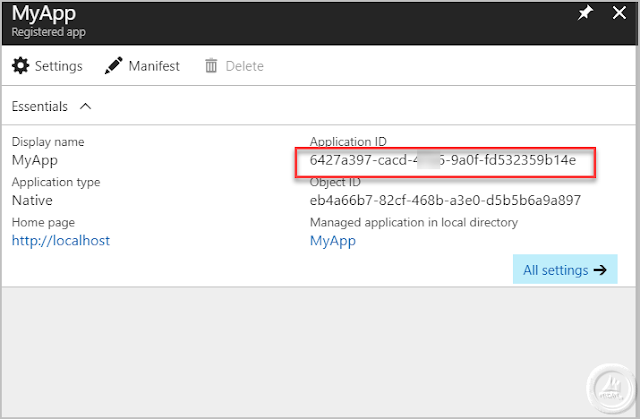 //Send the WhoAmI request to the Web API using a GET request. 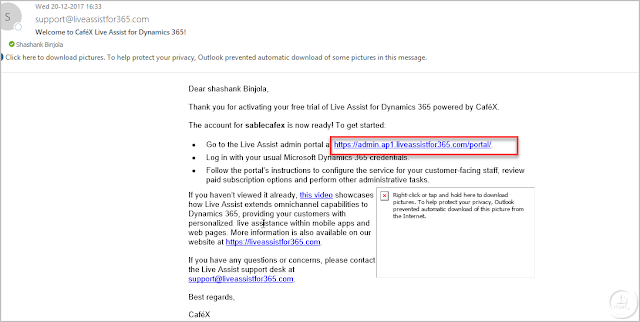 Providing exceptional customer experience is the new competitive advantage. 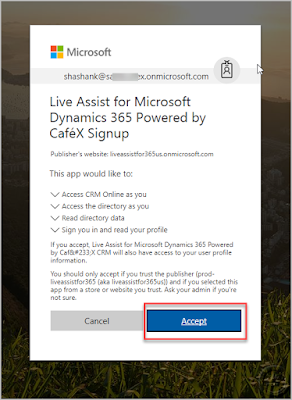 CaféX Live Assist™ for Microsoft Dynamics 365 enables personalised, omnichannel customer engagement that will delight your customers and improve your agents' productivity. 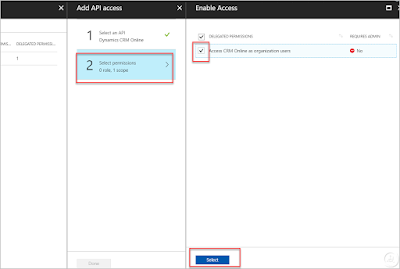 Hosted in the Azure cloud, the combined solution embeds real-time customer interaction within the Unified Service Desk and web clients for Dynamics 365. 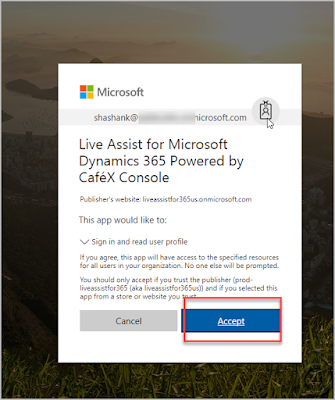 The immersive solution extends in-app live assistance to customers, who can interact with service representatives via text, co-browsing, bot escalation and more. o Deliver best-in-class digital experiences based on customers' unique preferences including mobile and web channels. 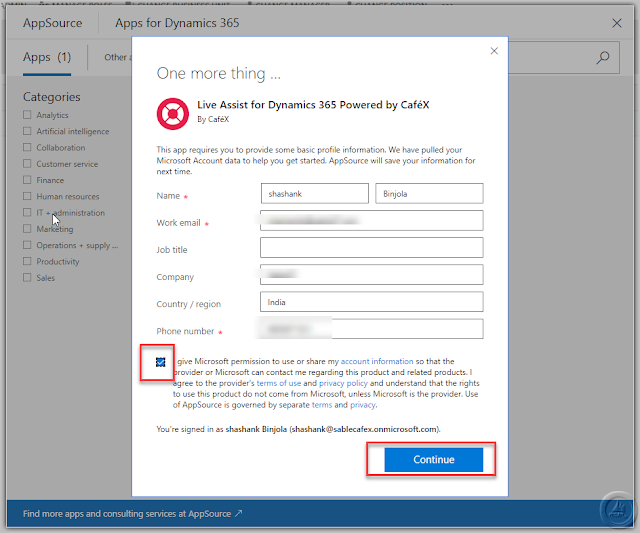 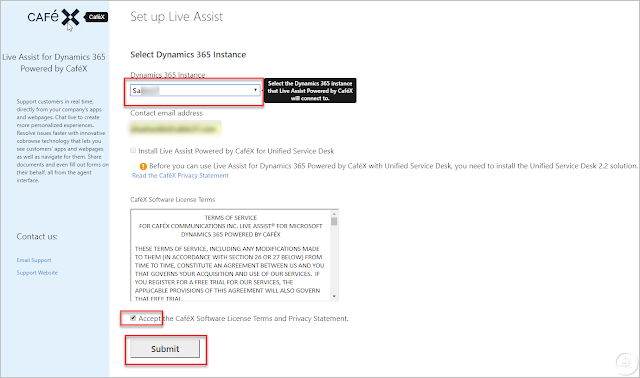 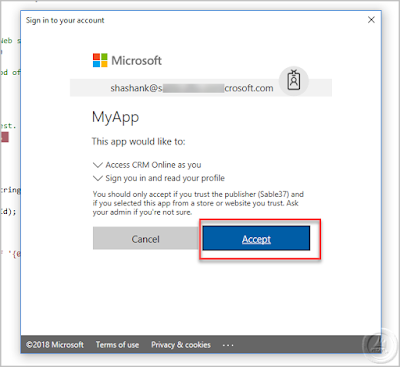 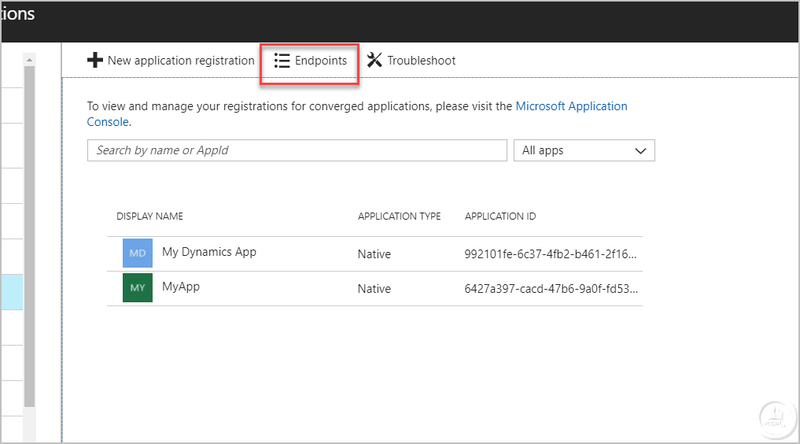 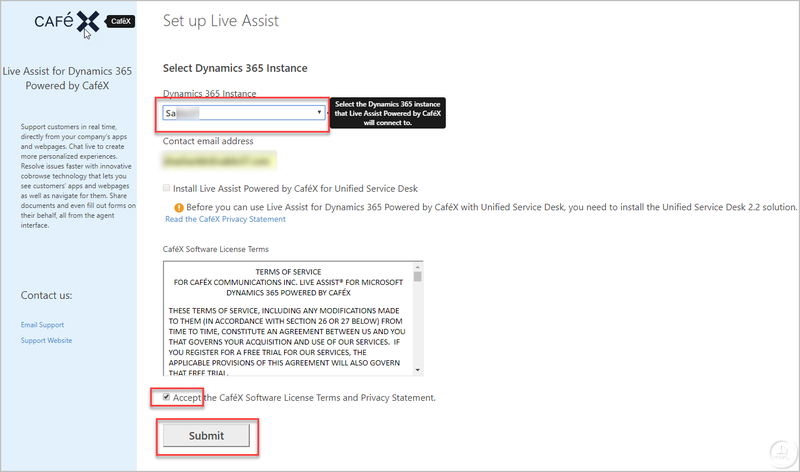 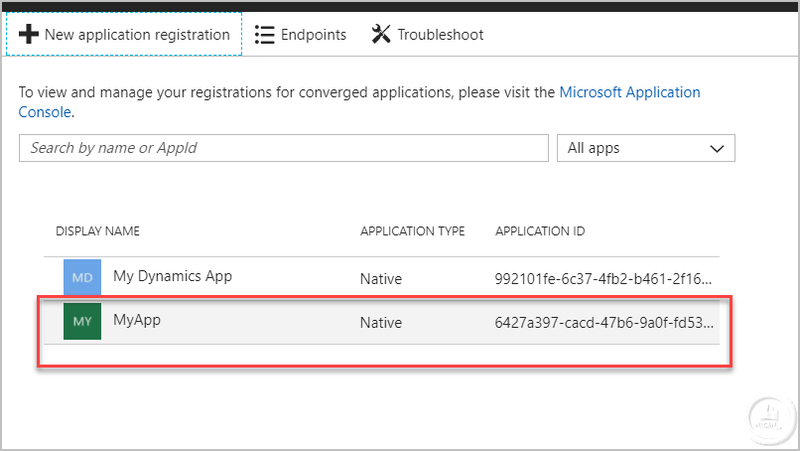 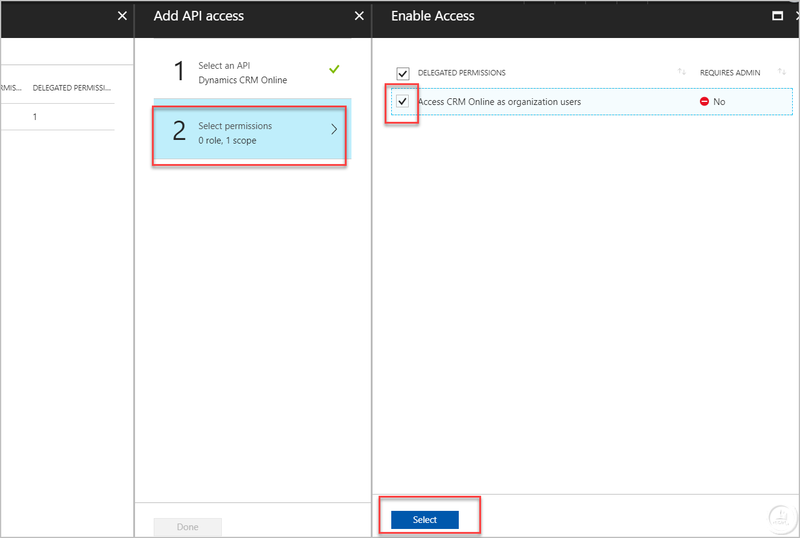 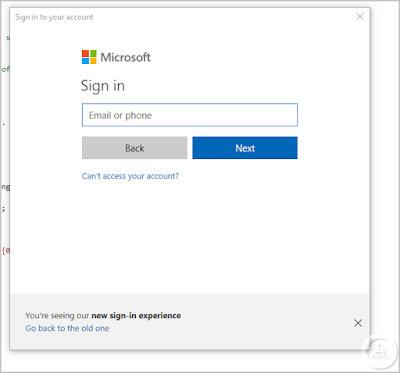 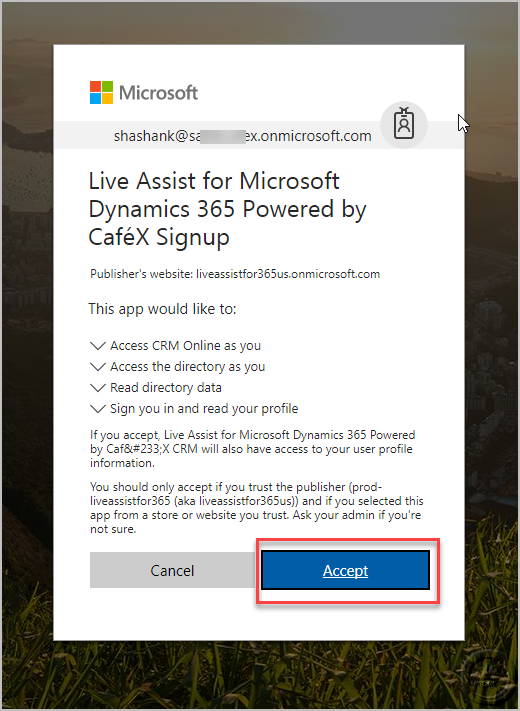 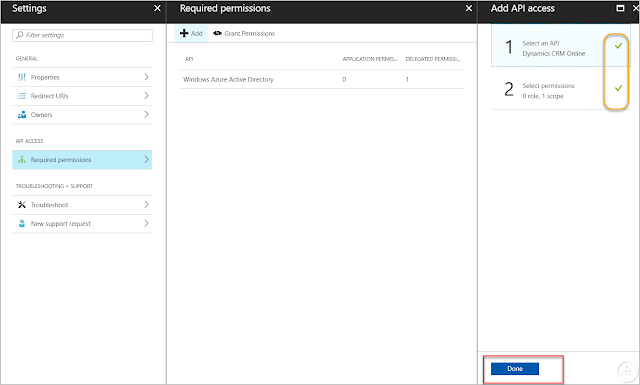 This configures the Live Assist on the specified Dynamics 365 Instance and also sends the email to the email id specified. 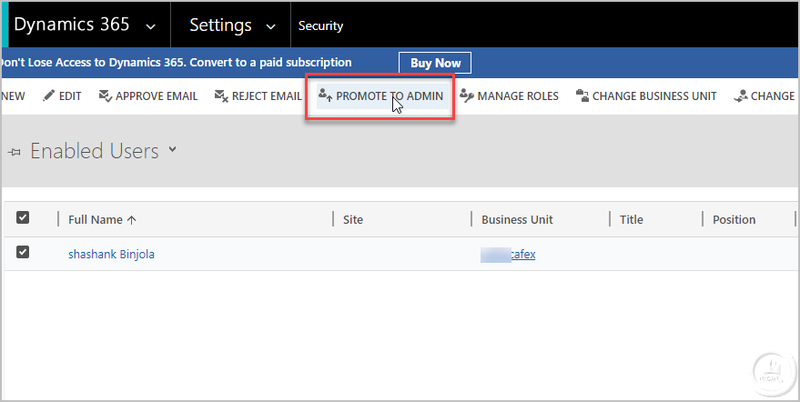 Now you will be redirected to your Dashboard of the admin center.